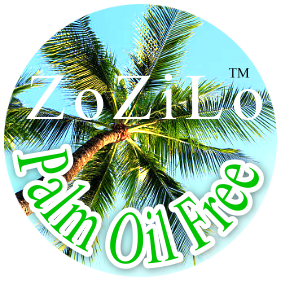 ZoZiLo SOAPS are chemical free, Plam Oil Free with absolutely no artificial colorants and are never tested on animals. Lovingly cold pressed handmade in small batches ! Organic & Natural Ingredients, combined with pure essential oils. Cleanse, Soothe & Moisturize All Skin Types !! softens the skin, unclogs pores, boosts collagen, reduces fine lines, speeds cell turnover and evens out skin discoloration and texture. It enables the epidermis to regain its youth and vitality and improves radiance and tone. The secret of this blue-green, beauty-bestowing plant is its rich, bio-available nutrients! All ZoZiLO Soap infused with sea fennel extract. This gentle soap is full of natural ingredients to help cleanse skin of dirt and grime while deeply moisturizing it from within leaving it dewy and satiny soft. These luxury soaps for the whole family, great for travel and perfect to give as a beautiful gift. Cleanse, Soothe & Moisturize All Skin Types.